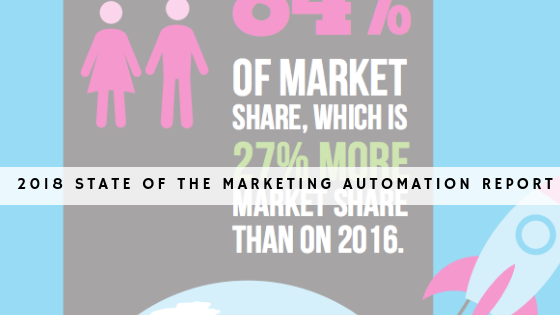 We've released the 2018 State of the Marketing Automation Report! It's the second year in a row that we've teamed up with competitive intelligence and lead generation provider SimilarTech to conduct research on the trends that shaped the marketing automation landscape over the last year. Following a successful collaboration last year, teaming up with the SimilarTech team was a no brainer. SimilarTech is a competitive intelligence and lead generation tool that tracks technology adoption and usage analytics in real-time. The company was founded in June 2014 by Yaniv Hadad and Eyal Weiss, two former software engineers from SimilarWeb, with business insights expert and serial entrepreneur, Chen Levanon joining in 2016. SimilarTech's technology and analysis tool provides business insights through website crawling. This technology allows users to spot trends, research the market, generate leads and prospects by providing information like technologies used on a particular website, revealing a specific technology's use throughout various websites, or tracking and listing an entire category of web technologies. Overall, 2017 shows a rapid 297% growth in the adoption of marketing automation technologies. In 2016, 482,765 websites had marketing automation technologies installed on them. In 2017 the number grew to a whoopping 1,920,643 websites. While demand grew, supply of 34 technologies remained the same between 2016 to 2017. 6 dominant technologies hold 84% of market share, which is 27% more market share than on 2016. This indicates that their dominance grew from last year more on the expense of other small companies. 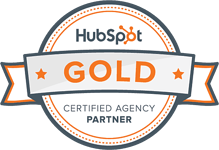 HubSpot was found to have the largest market share in 2017 - 30%. HubSpot had the largest market share in 2016 as well, back then it was 21%. There has been a shift in the power balance! Act-On who was one of the 6 dominant technologies in 2016 has been pushed aside by TowerData who is now one of the 6 dominators. Eloqua has seen the largest growth in 2017 with an astonishing increase of 100%.